I received these glasses in exchange for this review. 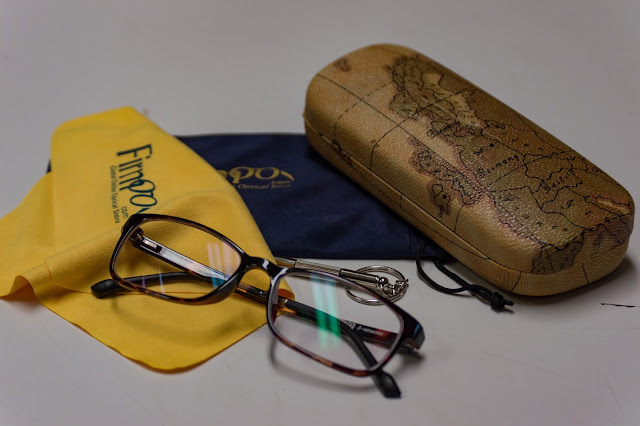 I was recently approached by someone from Firmoo asking if I would try out their glasses for them and tell you all about my experience. Since most of the people in my family wear glasses, I couldn't pass up the chance to try a new pair! 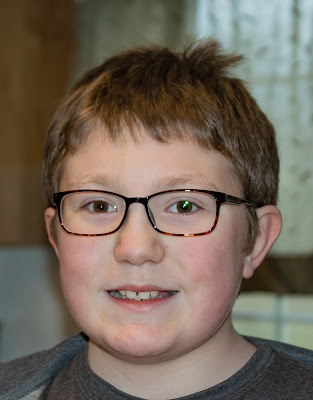 We got a pair of glasses for our son, Gavin. They look great on him, and I'm pretty impressed with the quality. For $33 they are seriously impressive. To order, all you need is the glasses prescription and the pupil distance. Just plug in the numbers and you're good to go! The order took about 2 weeks to receive. Not too bad considering that's about the same turn around time for my local eye doctor's office. I absolutely loved the extras that came with the glasses. We received a very nice glasses case, a little glasses tool (screwdriver), a pouch and a cleaning cloth! All of these are great to have if you wear glasses. The glasses themselves seem very high quality. The memory plastic flexes and is perfect for Gavin (who is not so kind to glasses- he goes through a couple pair a year). I do wish there were spring hinges in these, but with the frames being so flexible they may not be necessary. I think these will at least last him through the school year, though. Check out Firmoo next time you need glasses, you could save yourself some significant money by trying their inexpensive but high quality glasses.